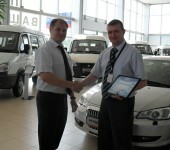 AVTOMECHANICHISKIZAVOD Company announced the results of its dealer network for the last year and the first quarter of 2010. 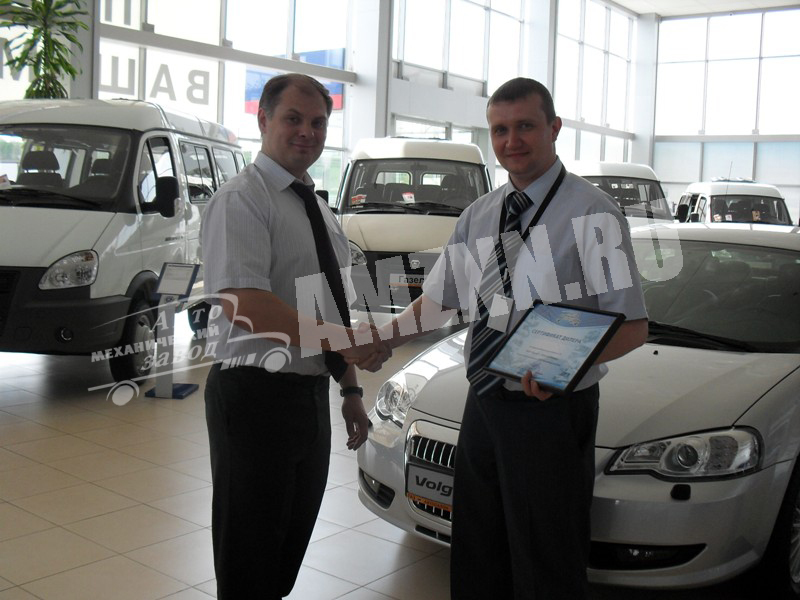 Product sales thorough dealer network increases year after year and, despite severe competition and difficult financial situation in the country, the results prove our common powerful position at Russian market. 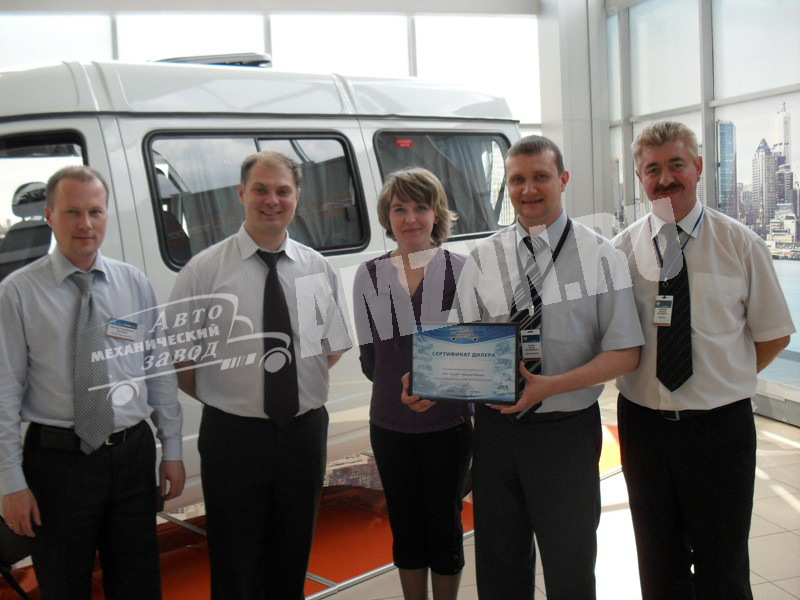 In May 2010 AVTOMECHANICHISKIZAVOD Company held a ceremony of presentation of official dealer certificates. At the ceremony the Director of the Company Aleksey Aleksandrovich Ashcheulov congratulated all participants on the successful results and expressed his hopes that that event would help further cooperation. “Stable and perspective-oriented partnership — is the guarantee of our effective work!” — he said. The certificate attests that the partner company is fully compliant with the requirements and standards of our activities as well as ensures maximum support for the creating of most favorable conditions for cooperation with AVTOMECHANICHISKIZAVOD Company. 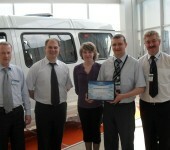 Luidor Nizhny Novgorod was one of the first companies to receive the certificate at the ceremony. Altogether among numerous partners 40 companies were distinguished for successful partnership and long history of cooperation. All of them are the leaders of commercial transport market. During the ceremony the participants discussed their plans and perspectives of further cooperation, which would meet all demands of individual customers, implementation of new technologies resulting in the improvement of quality and application performance of our products. Also the participants in detail discussed different aspects of cooperation, development strategies, improvement and expansion of the dealer network, necessary producer support, required for the benefit of all, including marketing and information support, convenient logistics for all, balanced pricing and timely delivery of products to the dealers’ stocks. This event directly motivated us not to rest on what has been achieved. By choosing us as your supplier — you choose a partner you can rely on!